This is a National Park of 79.99 Sq. KM in area located in the Tarai region of the Himalayan foothills in northern West Bengal, India. It is a medium-sized park with grasslands and forests and famous for its population of Indian One Horned Rhinoceros. Gorumara was previously a Reserve Forest since 1895. The park was declared a Wildlife Sanctuary in 1949 for its increased population of Indian Rhinoceros and declared as an National Park of India on January 31, 1994. Originally as small Reserve Forest, Gorumara has now grown by incorporating neighboring forest lands. Jaldapara Wildlife Sanctuary is a protect park situated at the foothills of Eastern Himalayas in Alipurduar Sub-Division of Jalpaiguri District in West Bengal and on the bank of river Torsa and have an area of 141 km² and altitude of 61 m. Jaldapara, the vast grassland with patches of riverine forests was declared a sanctuary in 1941 for protection of the great variety flora and fauna, particularly the one-horned rhinoceros, an animal threatened with extinction. The Mahananda Wildlife Sanctuary is a wildlife enthusiast’s dream. The sanctuary is located in The Himalayan foothills and the Terai region and is home to the elephant, Indian bison or gaur, tigers, leopards, sambar and cheetal. The Mahananda Wildlife Sanctuary is spread over the forests of the lower catchment area of the Mahananda River and covers an area of 159.86 sq km. 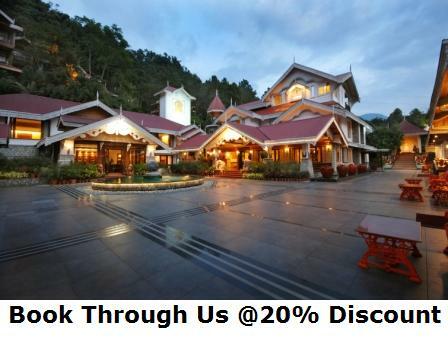 A short 13 km drive from Siliguri gets you to Sukna, the gateway to the sanctuary. Buxa Tiger Reserve was created in 1983 as the 15th tiger reserve. In 1986, Buxa Wildlife Sanctuary was constituted over 314.52 km² of the Reserve forests. In the year 1991, 54.47 km² areas were added to Buxa Wildlife Sanctuary. A year later, in 1992, Government of West Bengal declared its intentions to constitute a National Park over 117.10 km² of the Buxa Wildlife Sanctuary. 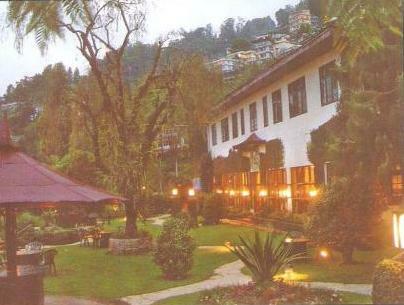 The Chapramari Wildlife Sanctuary is located 30 kilometers away from Chalsa in Darjeeling. It covers an area of 2,220 square kilometers and the climate is favorable, attracting a lot of tourists throughout the year. It is connected to the National Highway 31 which makes it easily accessible to the rest of India. The Chapramari Wildlife Sanctuary is filled with dense greenery which provides a natural habitat to the animals and birds living here. With the towering trees and thick bower of bushes, this sanctuary is a wildlife heaven. A huge variety of flora and fauna covers the forests. Chapramari is famous for its elephant population. Rasikbil or Rasikbeel is situated at the foothill of Sintura Hill of the great Himalaya in the Coochbehar district of West Bengal. It is basically low water land (Bil or Bill) or swamp, where water may be available all over the year. There is a huge lake ideal for eco-tourism activities. What attracts tourists here is the wide variety of avifauna that is seen around here. The bird variety includes cormorants, different varieties of storks, ibis, spoonbill, kingfisher, parrots, owl and many others. There is a large aquarium, a dear Park and a crocodile rehabilitation center at Rasikbill. Cooch Behar Palace, also called the Victor Jubilee Palace, is a landmark in CoochBehar city, West Bengal. It was designed on the model of Buckingham Palace in London in 1887, during the reign of Maharaja Nripendra Narayan. It is noted for its elegance and grandeur, is protected by the Archaeological Survey of India. It is a brick-built double-storey structure in the classical Western style covering an area of 51,309 square feet (4,766.8 m2). The whole structure is 395 feet (120 m) long and 296 feet (90 m) wide and is on rests 4 feet 9 inches (1.45 m) above the ground. Buxa Fort, situated in the Binchulla Hills of Buxa Tiger Reserve Forest at an altitude of 2600 ft, was constructed by the king of Bhutan during the 18th century with an intention to protect their country.The fort was positioned so as to help guard the road connecting Tibet with India via Bhutan, which was famous known as the 'Silk Route'. The British captured this fort at the end of the 18th century and used it a watchtower. Because of its historical significance the fort is considered as a place of special importance by the old timers who often visit Buxa fort to recapitulate their memories and to pay their tribute to the martyrs' column. It is an ancient port-town since the seventh century. Jalpesh Temple was dedicated to Lord Jalpeswara (Siva). The temple was built in a style akin to Islamic architecture. Inside, there is a Shivling called Anadi. Mahashivaratri is the main festival celebrated in this temple. Pilgrims come during Sravani Mela in July–August and during the fair of Jalpesh Mela in February–March to offer special puja to Siva. After puja, devotees collect water from the river Teesta and walk barefoot 15 km to the temple. The temple was founded by Bisu Singh of Cooch Behar in 1524 C.E. His son, Maharaja Narayan, rebuilt the temple in 1563. Pran Narayan in turn rebuilt the temple in 1663 C.E. This Temple was manufacture at the time of Gupta Dynasty. This place is around 30 km away from Jalpaiguri town and 13 km from Maynaguri. In 1489, Shankaradeva performed his last journey to Cooch Behar when Maharaja Nar Narayan requested him to preach the teachings of the neo-Vaishnava cult. It was in his honor that the Madhupur Dham was built in the 16th century. This place has a special significance for the devotees of Acharya Shankaradeva. The temple is situated near the S.D.O. 's office of Mathabhanga Sub-division. This temple is domed at the top. Statues of Krishna and Balaram are established in the Temple. Ratha Jatra, Raas Jatra, Janmastami and Dole Jatra are celebrated here every year. Situated at a distance of about 10 km to the North of Cooch Behar town, the temple has a 'Shivalinga' 10 feet below the plinth level. Also present in the temple is 'Gouripat'. By the side of the main temple is another temple which has the statute of 'Ardhanariswar' installed. On the occasions of Madan Chaturdashi and Dol Purnima this statue is carried temporarily to the Madan Mohan Temple of Cooch Behar town. This has given it the fame as 'Movable Baneswar'. There is a big pond within the temple campus having a large number of tortoises. Some of the tortoises are very old and big in size .At Siva Chaturdashi a big mela is held here for a week. Situated at Debibari of Cooch Behar Town the Baradebi temple was constructed with the influence of European architecture. The temple holds the idol of Goddess Durga. Each year a big fair is organized here during Durga Puja. Situated at a distance of 11 km from Cooch Behar town (one km from Baneswar), it was constructed around 1830 by Maharaja Harendra Narayan. The temple houses the idols of Goddess Siddheswari. There is a holy tree by the side of the temple. The South Khayerbari Animal Rescue Centre is the home of 18 leopards. A leopard safari (Optional), the only one of its kind in India, can also be availed in South Khayerbari Eco Park. Those looking for a little bit of adventure should head to Khukusia Park, which is 8-10 km from Falakata town and within easy driving distance of the Khairbari Tiger Rescue Centre. An amusement park including a deer park is located here. Another amusement park where one can spot deers, elephants and even leopards. A boating facility is also available here. With its orange orchards and cardamom plantations, Samsing is an unspoilt mountain destination that is growing in popularity among tourists. Atop Kitap Singh Hill, it is nearly three hours away from the heart of Siliguri. 4700ft altitude 135km from Siliguri. The newest village tourism destination at India Bhutan border. Local food culture and hospitality with acres of bio-firming of flowers and vegetables and natural surrounding with blooming orchids. Murti is a picturesque tourist spot located on the banks of the Murti River in the Dooars region of Northern Bengal. Spending few tranquil days beside the knee deep snaking Murti River is a perfect break especially for those who are looking for some serenity and peace. Murti is a great place for nature lovers and bird watchers. You can also take a dip in the crystal clear waters of Murti River or do some fishing whenever you like. Camping is the most popular activity in Murti along with hiking. The Gorumara National Park, which is home to Indian Rhinos, Wild Elephants and various bird species is just a stone’s throw from Murti. At 600m, Bindu is a small village on the border with Bhutan. It is 80kms from Siliguri and has developed based on a hydroelectric (hydel) power project. The River Jaldhaka, forming the India – Bhutan border, provides some good birds and can be viewed well from the barrage. Some birds seen here are Eurasian Wryneck, Crested Kingfisher, Brown Dipper, Hodgson's Redstart, Slaty-backed Forktail, Little Forktail, Rufous-necked Laughingthrush. The main industry of the Dooars region is the tea industry. 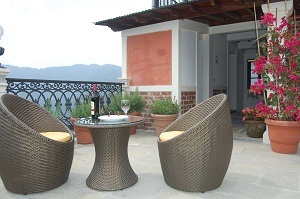 A retreat in tea gardens set amidst serene landscape is perhaps the most exotic and innovative way to enjoy nature. For local sightseeing it is advised to use your Taxi / Cab that you have used to travel upto Pelling. You can retain your vehicle, use it for sightseeing and also proceed to the next destination. Getting a local taxi for sightseeing is difficult and expensive.